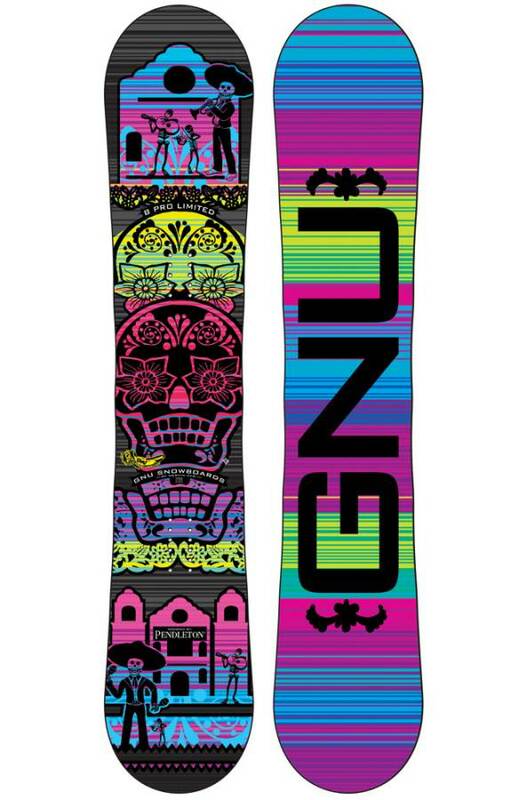 The Gnu B-Pro C2 BTX is is one of the better hybrid rocker women specific All Mountain Freestyle boards out there. 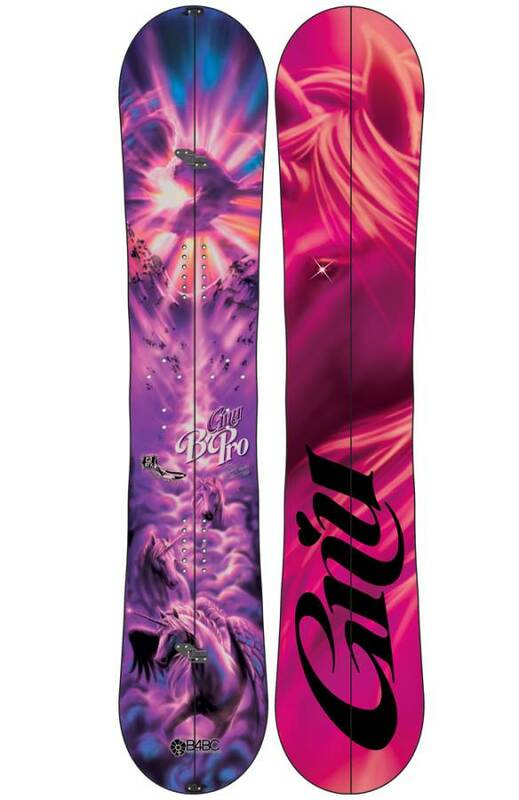 It’s been eclipsed a bit by the Gnu B-Pro C3 BTX but if you are looking for and easier floating more mellow all mountain freestyle ride this is still a top choice. 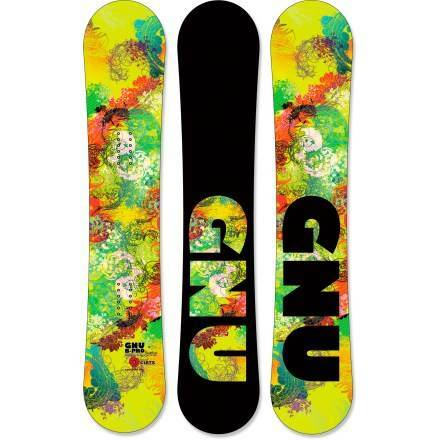 This Gnu B-Pro, Like Barret Christy, has quite a reputation and is a good board for all mountain freestyle riders at any ability level. They made the board a true twin instead of a directional twin and refined the C2 BTX. This is a good blend of speed and tunability. 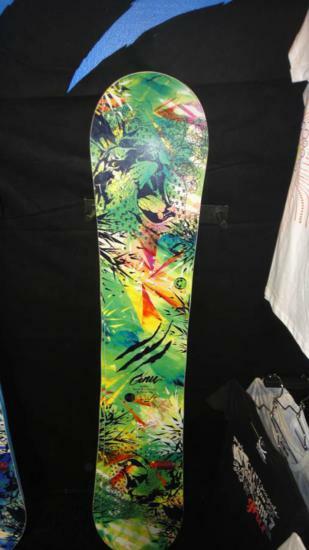 The C2 BTX really changed this board in 2011 and this will be hard to find when it is on sale. From 2012 -2014 there were some refinements with the C2 BTX and a little tech changes here and there but the general ride is pretty similar since C2 BTX was incorporated. On Snow Feel: The B-Pro has a loose squirrely between the feet kind of feel on harder snow but on softer snow it feels pretty stable. It still leans to the more playful all mountain freestyle approach to the moutain instead of the pick up lot’s of speed and carve kind of feel. Powder: This is one of the boards strong points and is a whole lot of fun in most conditions. We’d like to see a bit of a set back for those that ride in deep thick snow. 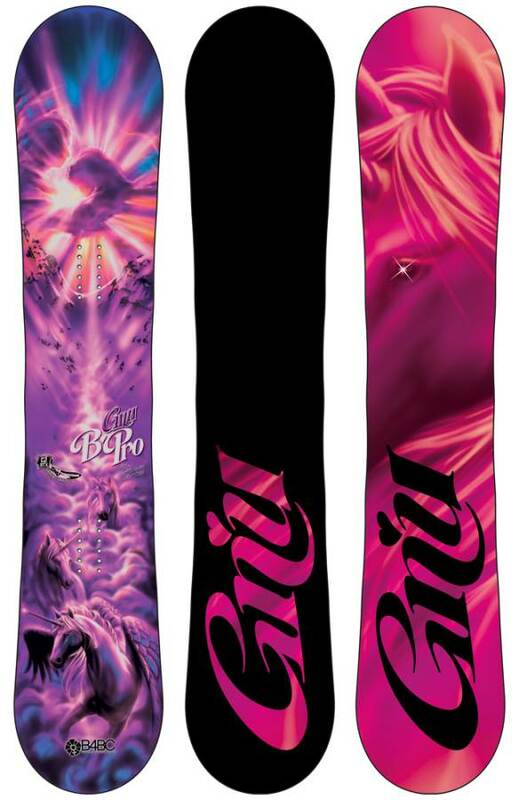 If you ride in lighter fluffier powder you will always have fun but this twin can be a bit of work when it gets super deep and thick. It is quite a treat to have minimal to no rear leg burn on a board that isn’t made specifically for Powder. 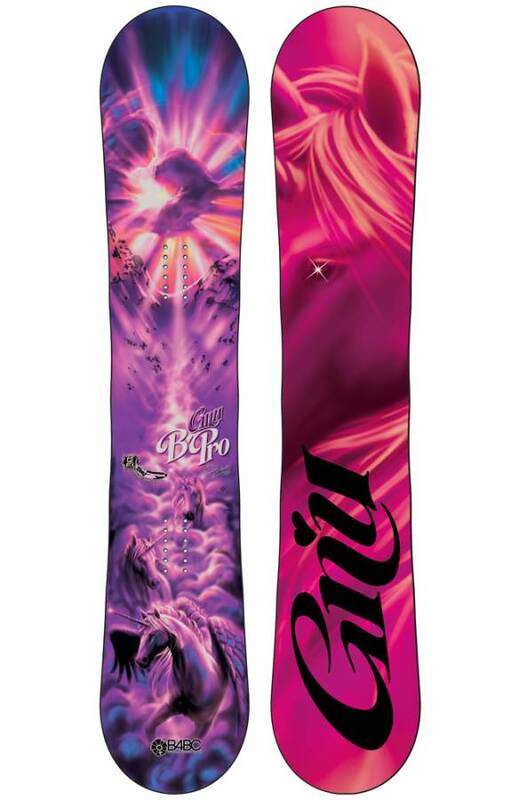 That being said if you like a centered freestyle approach to powder riding you will love the B-Pro. The easy turn initiation makes it almost effortless to turn between trees or make tight surfy turns. Turn initiation/Carving- C2 BTX solves a lot of all mountain riding issues and allows you to make a better turn than with a BTX. However it still turns almost too easy and can take the fun out of a serious carve. 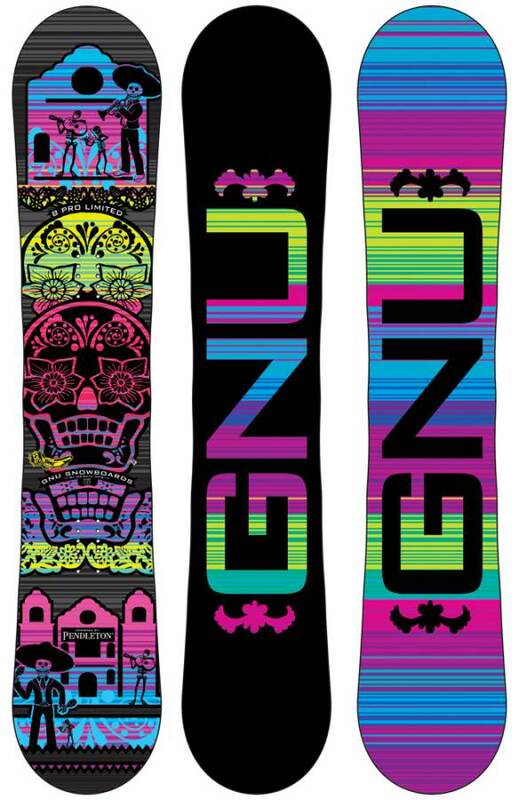 Many experienced riders like to work a little more for their turns so this board could be a let down for some. Still this is incredibly easy to turn. If you lay into a hard carve with the C2 BTX the tail will hold but it’s still more washy than many camber or hybrid camber boards. 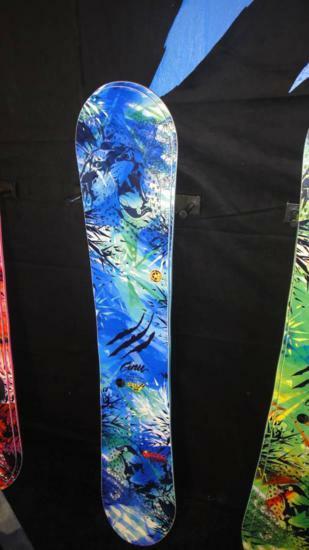 Speed: This board has a fast base and is pretty stiff. 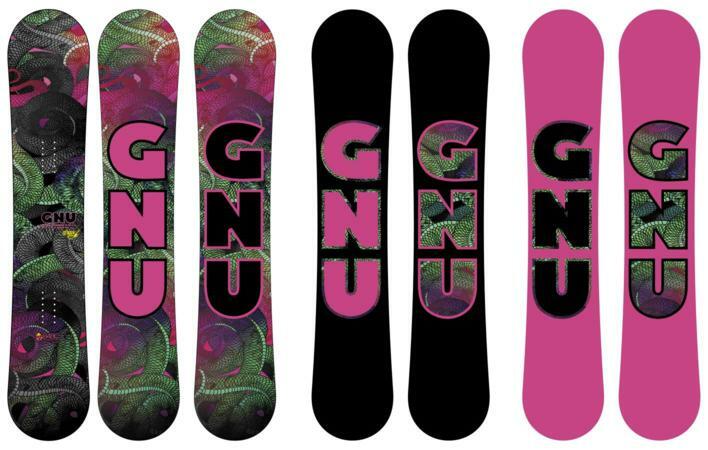 Gnu has really made an effort to make reverse camber better at high speeds. 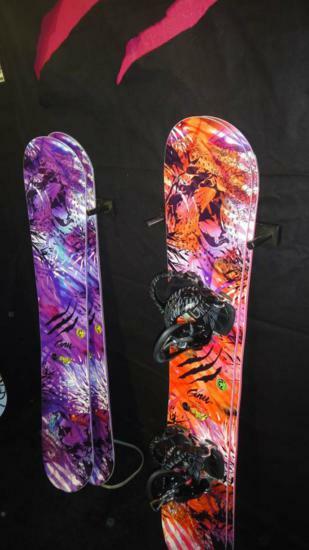 You trade up some speed for more float in powder and such a catch free forgiving ride. It’s up to you to decide what is important to you. Uneven Terrain: The B-Pro can deal well with the slow you down bumpy kind of terrain you can face at the end of a powder day or a soft day of groomer riding. Approximate Weight– It’s not going to break any records and it runs on the heavy side. We usually prefer durability over weight and this is pretty durable. Edge hold– This aggressive MTX cut grips anything you will come across. Flex: It’s pretty all around mid flexing. It seems that all boards aim to the mid flex these days and this is no exception. Even though it’s a bit more stiff than a lot of boards it behaves rather well in the park where usually a softer board would be needed. Jibbing/Rails– For such a stiff board the C2 BTX shape makes this ok in the jib park for going medium to small but if you are all about the jib park then get the B-Street. Switch: This board has a twinish shape but it doesn’t seem like a twin. Still it rides switch very well and you don’t notice any difference going either direction. Pipe: Great in the pipe! One of it’s best qualities. The B-Pro holds an edge very well and is also very forgiving. 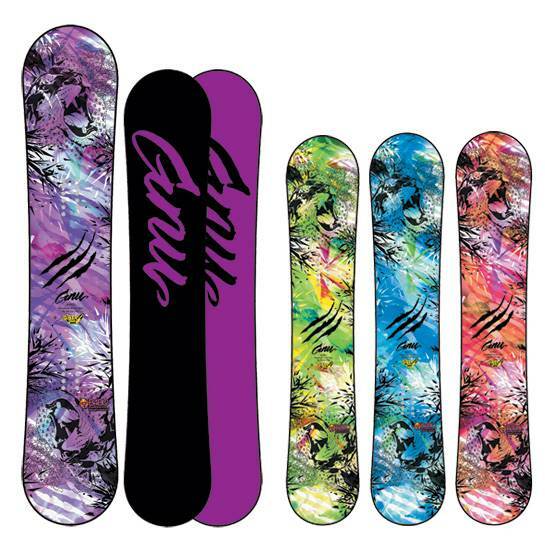 Jumps: Introducing the some camber back into the rocker shape really made this board more jump friendly. It’s also very springy when it comes to pop. 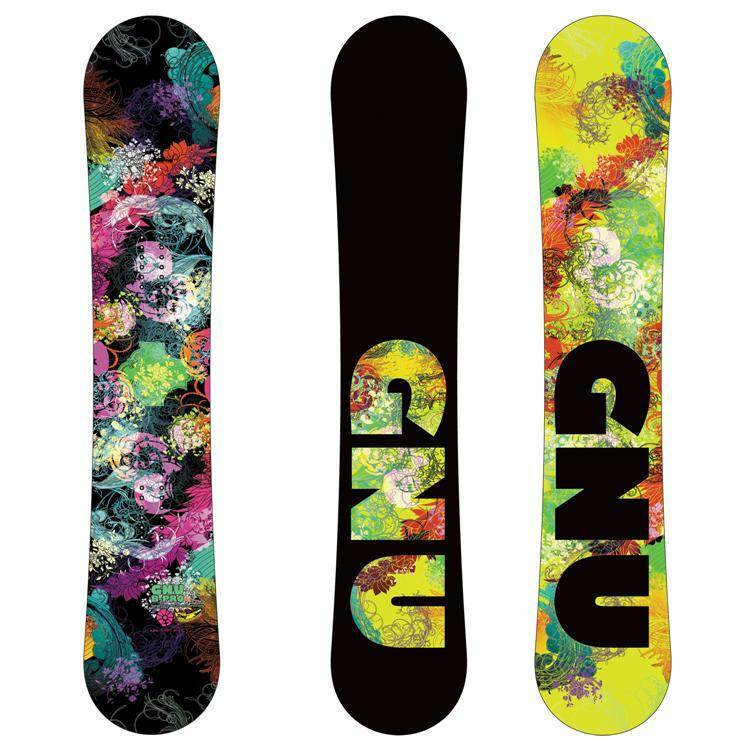 All in all the Gnu B-Pro is a fun forgiving all mountain freestyle board for someone who spends equal time in the jump/pipe part of the park and the mountain. This is also great if you ride in harder conditions like you get on the east coast. We try to get as many images of the Gnu B-Pro C2 BTX, but forgive us if they're not all there. I was excited to try this magnetraction (or however you spell it) for the crud and ice of ice coast riding. I've all over, but east coast is my home base. It is actually more flexible than I expected, so if u are expecting or fearing a stiff full plank wood core feel, this does not have that. 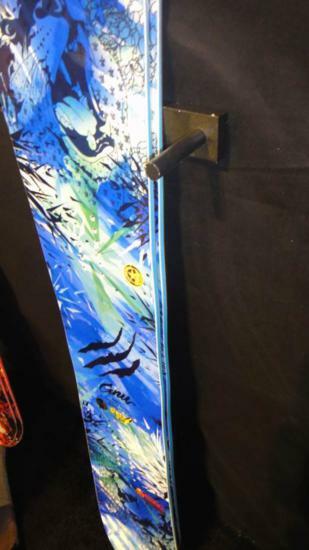 It is better at higher speeds (at least on packed trails) than my Burton Feelgood, in that it doesn't get that chatter. Not the most secure that I have felt but a decent ride. Perhaps a stiffer core might actually be better for East coast, but I think this will be a good compromise between powder days and ice days.